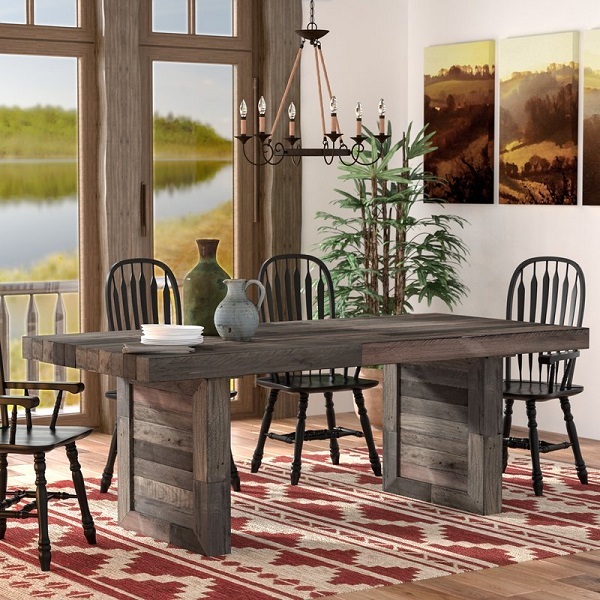 Anchor your dining room in rustic style with this handcrafted dining table. 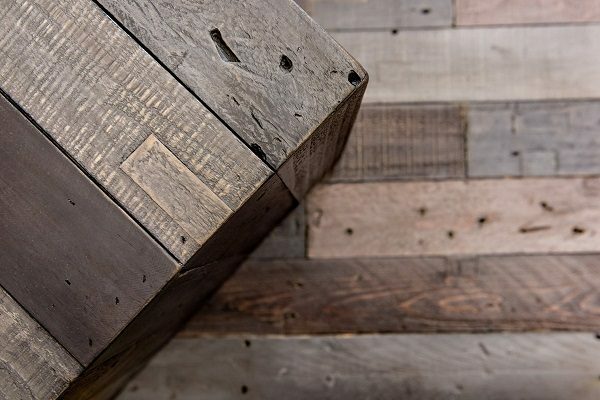 Made from natural pine wood reclaimed from shipping pallets, each plank is hand-distressed and features natural knots and imperfections imbuing each piece with one-of-a-kind charm. This design comfortably seats six, so pull up a few Furbo Side Chairs and a Furbo Wood Bench around the table to accommodate your dining guests! Constructed from natural reclaimed pine, these chairs are durable and strong enough for everyday use yet unique enough for all formal and special occasion. 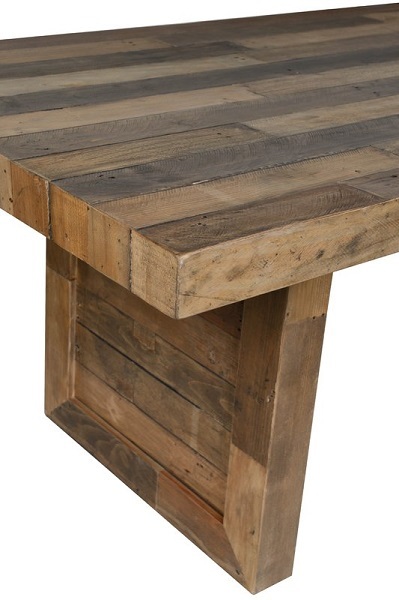 The simple design allows the reclaimed pine to be highlighted with exposing the natural imperfections and knots of the wood, that make each piece unique and subtly one of a kind. This arm less design also allows for a smaller profile allowing for additional seating at tables. The soft and natural tones of the wood allow for a variety of decors, colors, and styles. 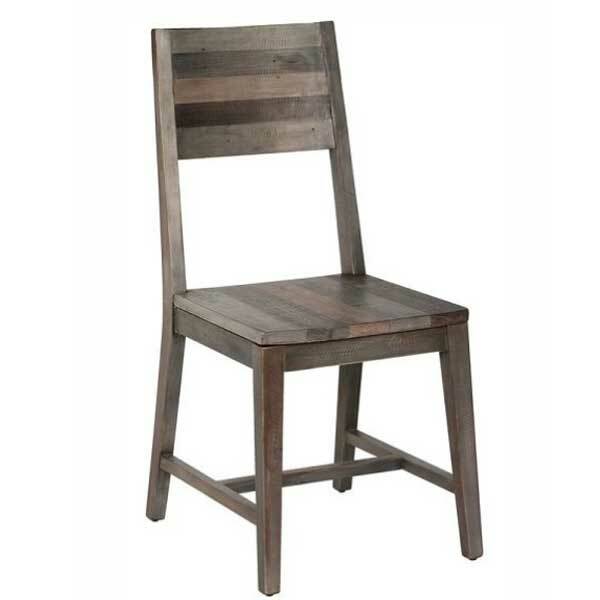 This multifaceted chair is versatile enough for numerous uses past dinning spaces, including office use, outdoor entertaining, and alternative additional seating. The handcrafted nature of this product may produce minor differences with color and or shade. Subtle variations may occur from piece to piece and may not appear exactly as pictured, adding to its unique qualities. This Eco-friendly dining chair combines design and social responsibility into one beautiful collection. Set includes two chairs! Available in natural & Gray Wash. Pair with Furbo Dining Table and Furbo Bench! Bring a touch of rustic and classic design into your home with the Furbo Bench. 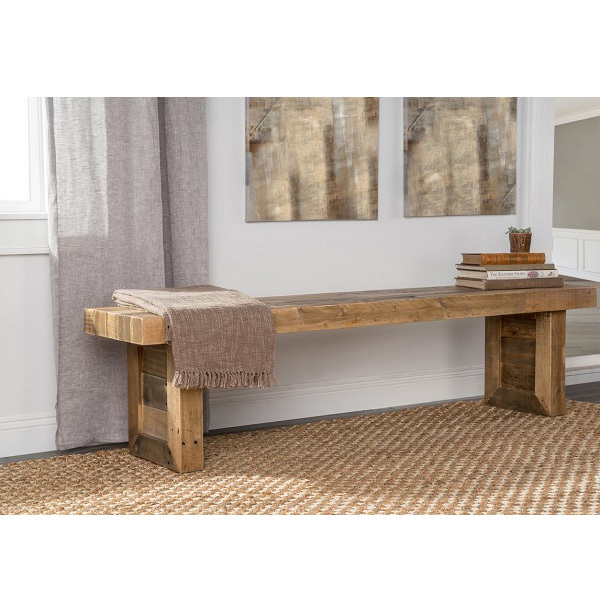 Constructed from natural reclaimed pine, this bench is durable and strong. 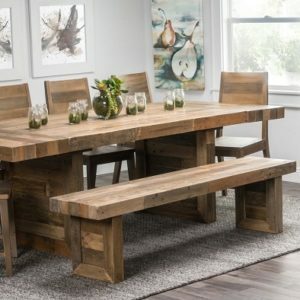 The simple design allows the reclaimed pine to be highlighted with exposing the natural imperfections and knots of the wood, that make each piece unique and subtly one of a kind. The natural and soft tones of the wood allow for a variety of decor, colors, and styles. This multifaceted bench is versatile enough for numerous uses past dinning spaces, including use as a coffee table, additional seating, or even as an entryway bench. The handcrafted nature of this product may produce minor differences with color and or shade. Subtle variations may occur from piece to piece and may not appear exactly as pictured, adding to its unique qualities. This Eco-friendly bench combines design and social responsibility into one beautiful collection. 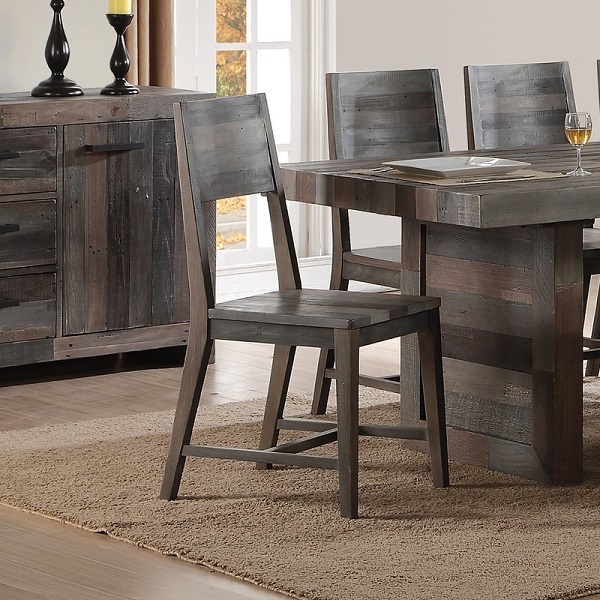 Available in Natural & Gray Wash, pair with the Furbo Dining Table! Offering the finest variety of designs for our specialty Chairs, Tables and Al Fresco Seating produced in the world today. © Copyright 2018 World of Seating. All Rights Reserved.